This is likely one of the last “simple” restorations from the Danish Lot, the estate collection I purchased last Spring. 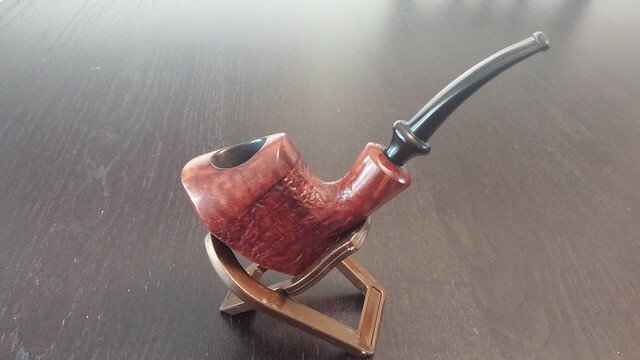 I’ll be getting into the weeds with some trickier repairs on future pipes, but cleaning up this Stanwell Royal Guard was about as straightforward as it gets. 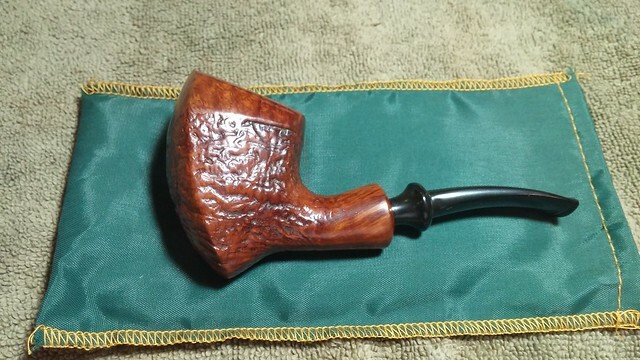 The pipe arrived on the worktable in excellent estate condition, without any major dings or dents, and with only a tiny bit of rim darkening around the edge of the tobacco chamber. There were a few light tooth marks on the stem, along with some very light oxidation. 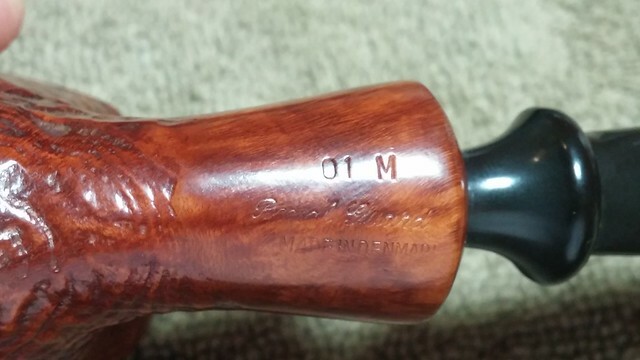 The stem still bore the intertwined “RG” logo of the Royal Guard line, and the stummel was stamped “01 M” (meaning Shape 01, Military mount) over “Royal Guard” over “Made in Denmark” on the bottom of the shank. 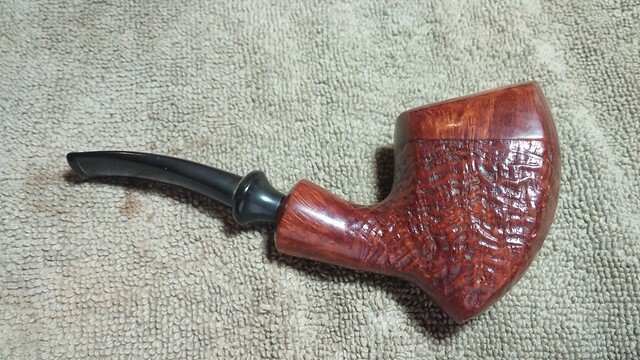 A mix of smooth and sandblast finish set up some interesting contrast on the stummel. 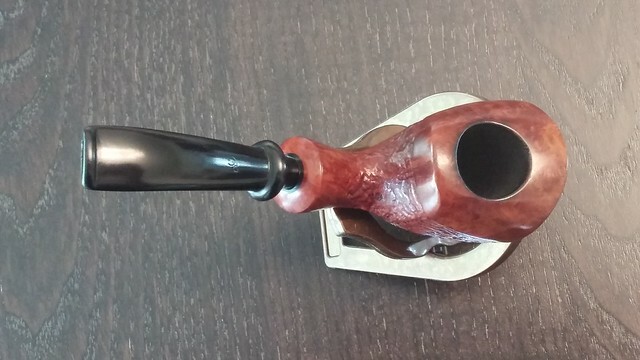 As with many Stanwell pipes, the Shape 01 is a Sixten Ivarsson design, described as a Freehand Pickaxe, first introduced around 1975. A quick twist of sandpaper around the chamber cleared the very light cake there, leaving only the remains of the factory bowl coating. 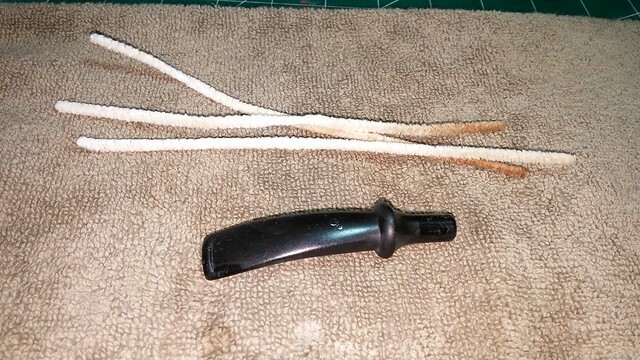 I cleaned out the shank using pipe cleaners, cotton swabs and alcohol. 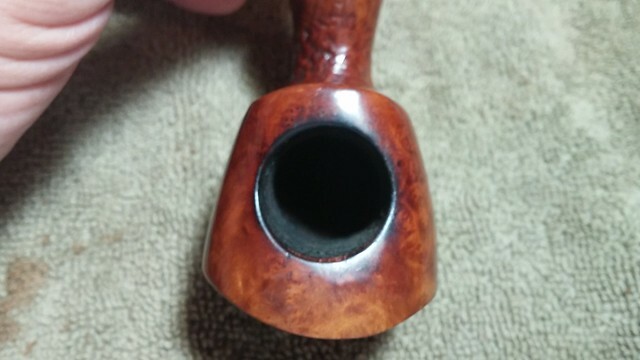 As with a few other Stanwell pipes I’ve cleaned recently, the double-drilled mortise and airway had create a small sump area at the end of the mortise, which had filled up with tars and oils. 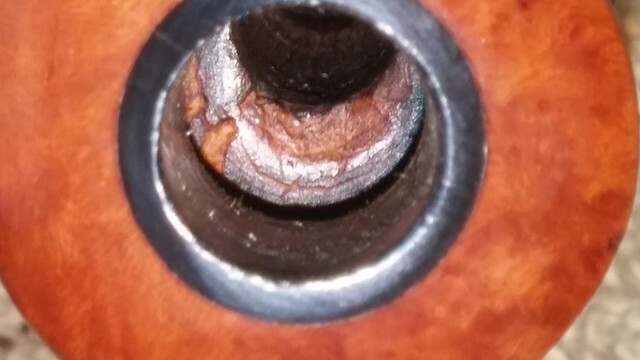 I used the square end of a flat needle file to scrape the mortise clean. You can see how much crud was hiding in there in the picture below – the black smears on the towel are where I wiped the file clean. 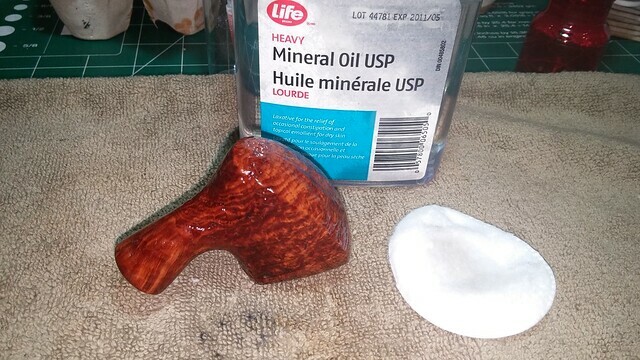 When the airway was clean, I scrubbed the exterior of the briar with Murphy’s Oil Soap to lift the dirt from the sandblast and remove the old wax from the finish. 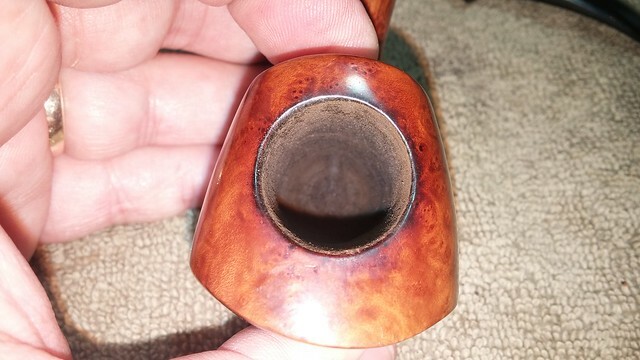 While I worked on the stummel, the stem went into a bath of Oxyclean and warm water to lift the oxidation and dissolve any crud stuck on the vulcanite. 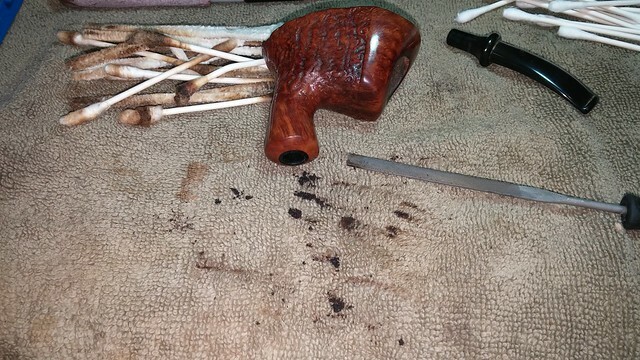 After a few hours, I pulled the stem out and scrubbed the softened oxidation from the surface of the stem with a bit of Magic Eraser. A few pipe cleaners dipped in alcohol sorted the stem’s internals. 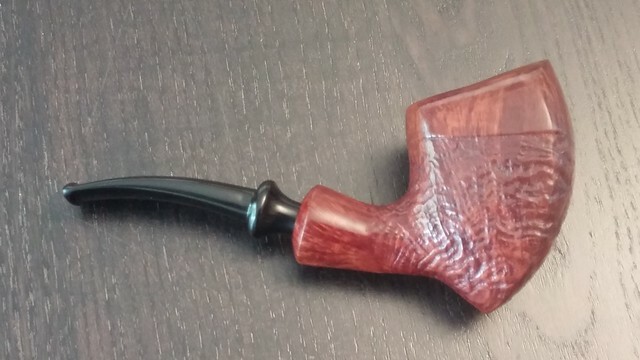 You can see in the picture below that there is something “off” about the texture of the vulcanite – it is smooth at the tenon, but the rest of the stem has an almost orange-peel texture. 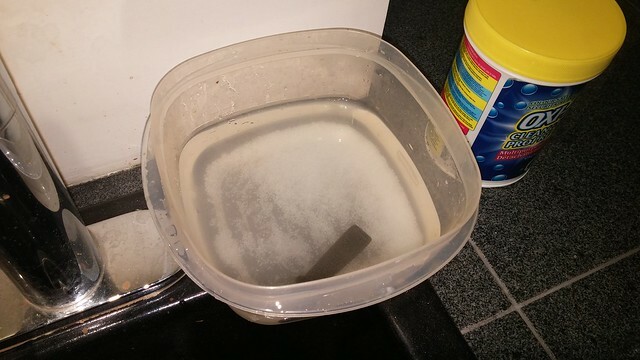 It’s almost as if the pipe was exposed to an aerosol lacquer (hair spray, perhaps?) that had settled on the exposed stem area and hardened over time. Whatever it was, it would have to go! 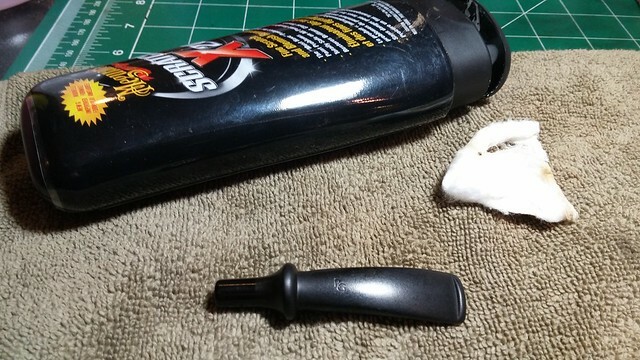 I first tried scrubbing the stem with Meguiar’s Scratch-X polish. It had some effect, but the pebbly haze persisted. I’d have to amp up the effort. While roughing up the bit area in order to drop fill the larger tooth dent on the bottom, I proved to myself that the odd surface texture was in fact removable. As I had to remove the rough sanding marks anyway while dealing with the fill, I gave the entire stem a full course of Micromesh pads. 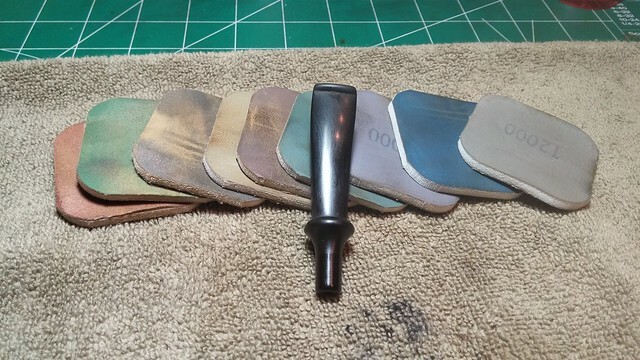 The coarser pads stripped the rough coating from the rubber, and the higher grits smoothed and polished the surface. 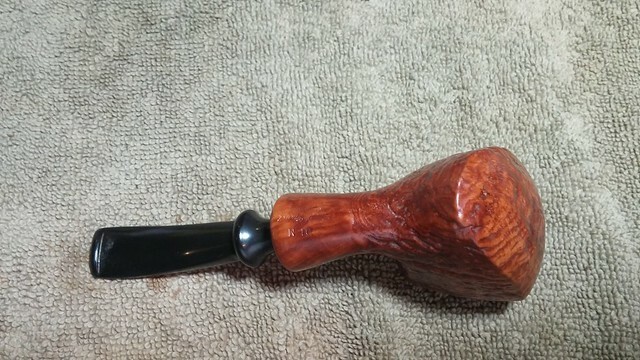 Finished with stem work, I moved back to the stummel. 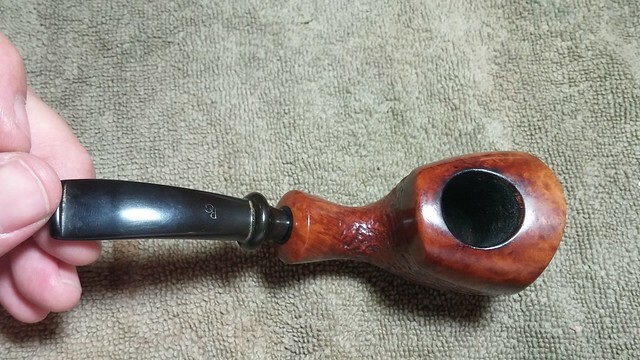 A fresh charcoal and maple syrup bowl coating refreshed the tobacco chamber interior, and a wipe of mineral oil livened up the exterior of the briar. 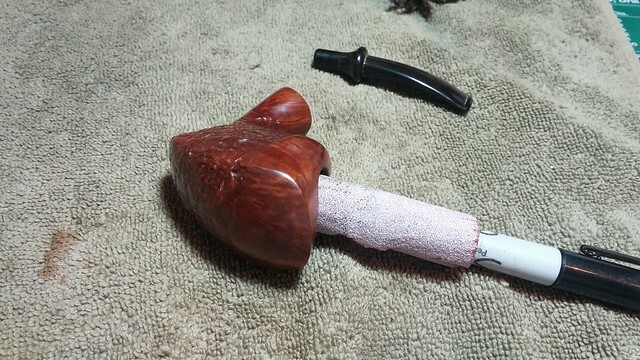 Then it was time to buff and wax the pipe. A light run of White Diamond compound and a few coats of Carnauba wax finished off this project. 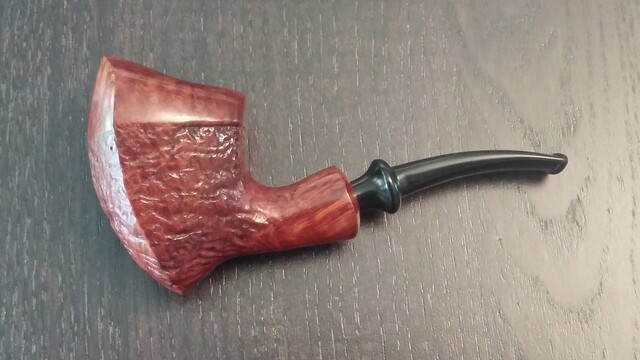 I must say that the Freehand Pickaxe is a unique Ivarsson design that provides a satisfying fistful of briar in a surprisingly compact and comfortable pipe. 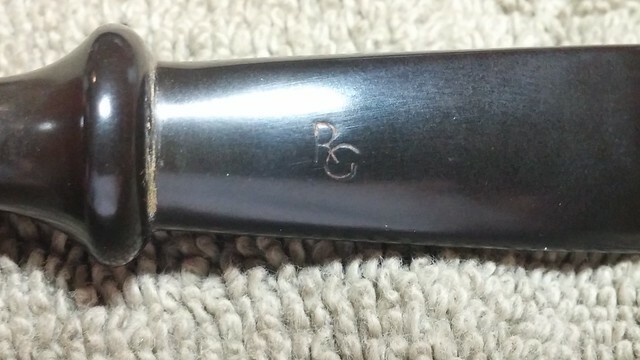 At only five inches long, and weighing in at just 47 grams, this pipe is quite capable of accompanying the piper just about anywhere. Thanks, Todd. I use activated charcoal capsules available in the vitamin aisle at the drugstore. I use one of two approaches. 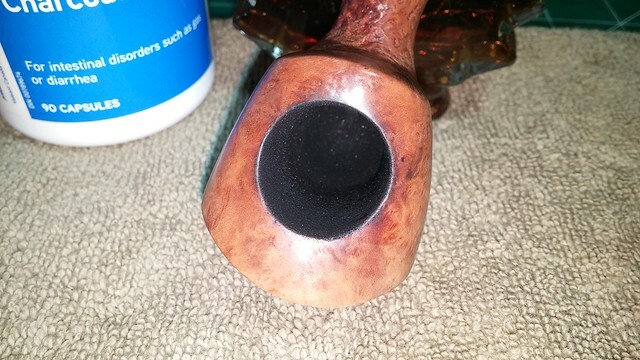 For a thinner coating, I wipe a few drops of maple syrup around the inside of the bowl using my finger and simply dump the contents of one charcoal capsule into the bowl, cover the hole with my thumb and give the pipe a good shake to distribute the charcoal around the chamber. Dump out the excess charcoal and let it dry. Excess charcoal can be reused. 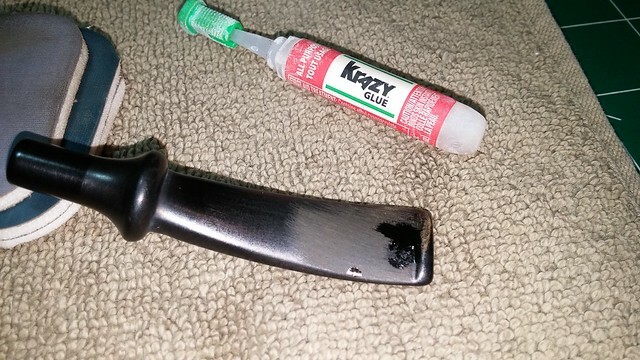 For a thicker coating (ie for more protection for chamber repairs, etc), I’ll wipe on a thicker coating of maple syrup, fill the bowl with charcoal powder and let it sit for at least an hour before dumping it out. This method can take a while to dry completely, so be patient. I own a smooth one, the pickaxe is just stunning imho . I sometimes think of Murphy’s as too abrasive to the stain. Is it virgin, so unstained briar ? baby shampoo and so on. Thanks. 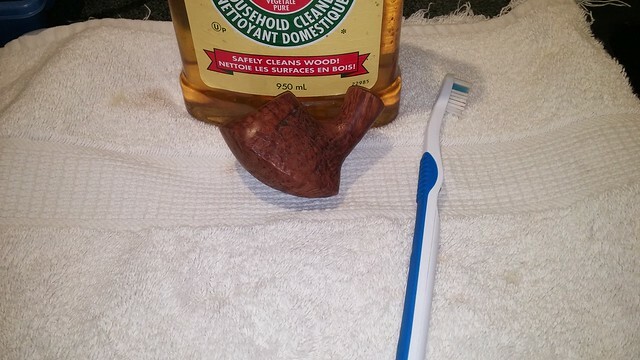 I like Murphy’s as it’s specifically made for wood and gently removes the old wax from the briar. I haven’t experienced it removing any stain so far. This Pickaxe is probably virgin/unstained, though it’s possible the factory added a subtle bit of encouragement to the grain. No fills or flaws that I could find, either. 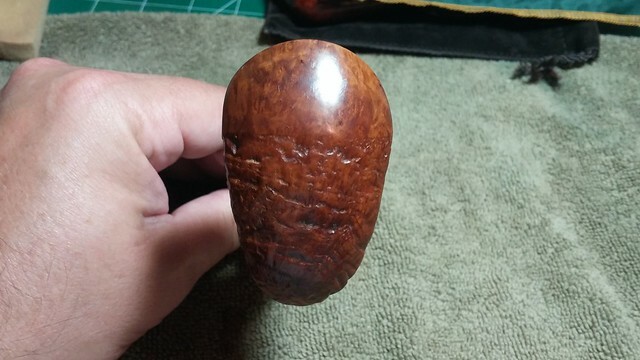 I refreshed what was there with a bit of mineral oil. Good looking pipe, Charles. I especially like the smooth and sandblast contrast finish. Great job on the refurb. Thanks. This one didn’t take much work. I spent about as much time playing with it as I did cleaning it – it’s a very tactile shape! 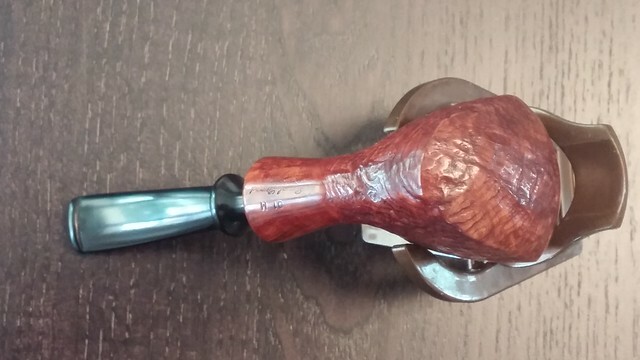 I Love the tomahawk shape of this pipe and the mix of textures. It’s just Dublinesque enough to temp me, Charles. Nice job on the stem, too. It looked challenging. 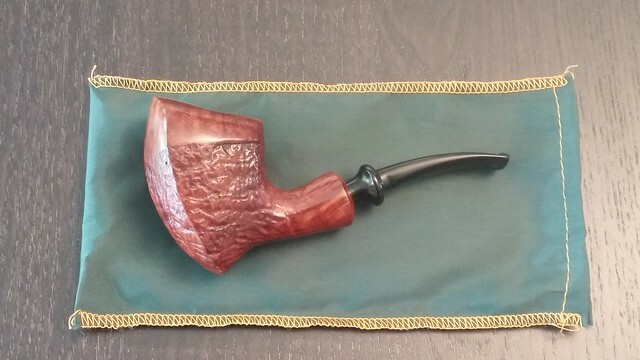 Charles, I received this pipe Friday and christened it with some Esoterica Margate on the way to work this morning. 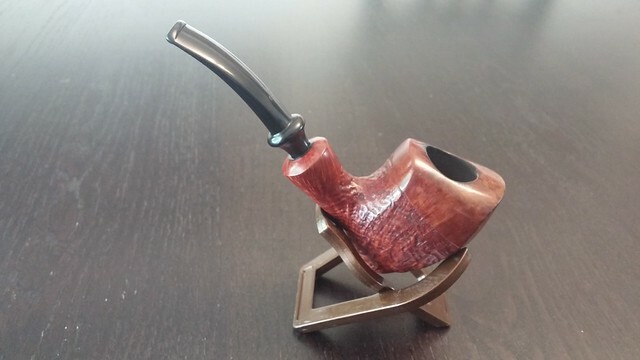 What a great pipe! It’s exceptional in both looks and function. 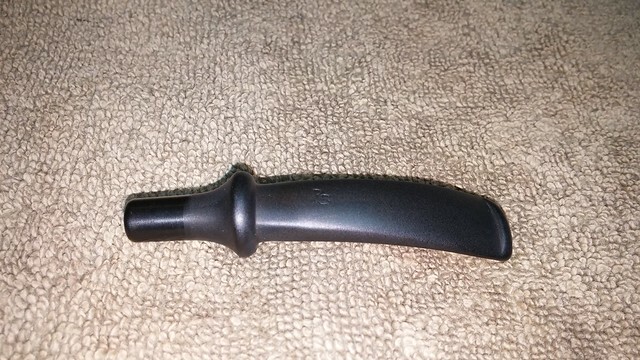 Had it been handed to me with no information, I would have thought it was new straight from the craftsman’s workbench! Super clean, and what a smoker. 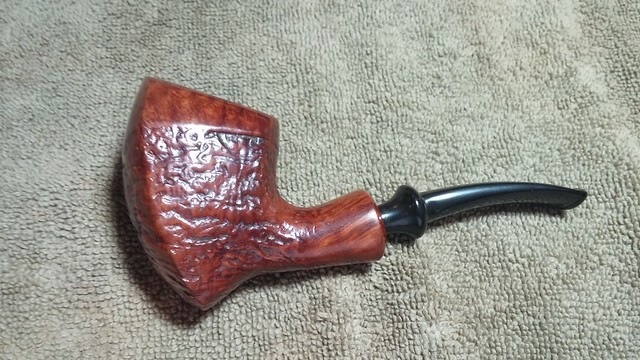 I look forward to smoking the Soren Freehand as well. I gave Dad his bent starter kit this weekend for an early Father’s Day gift, and he loved it! 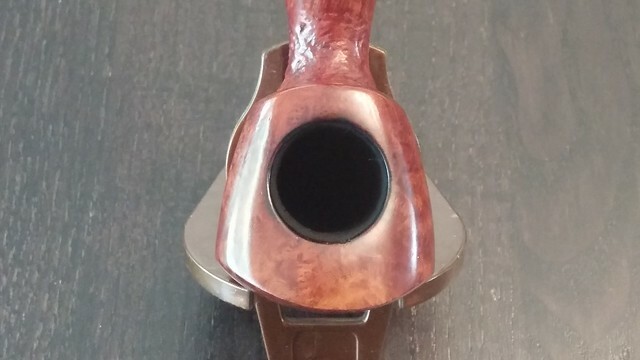 Another great pipe. Glad you are enjoying the pipes!